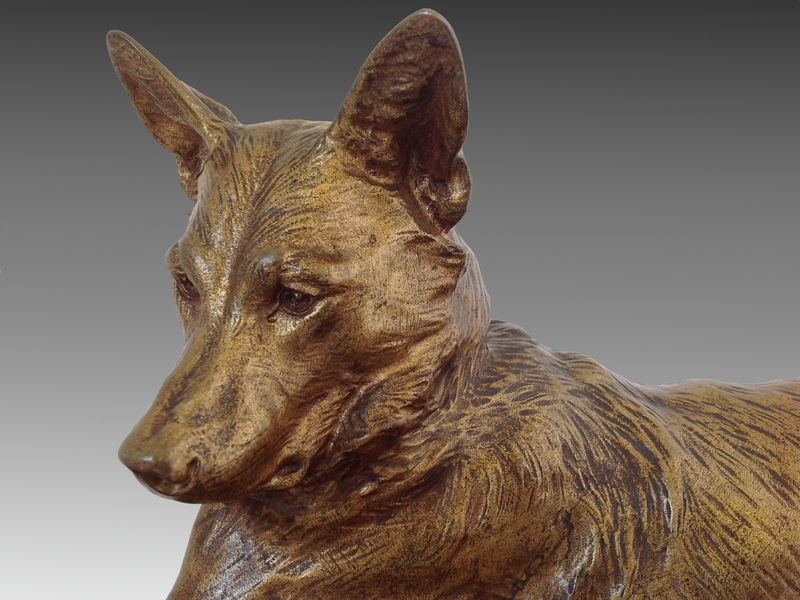 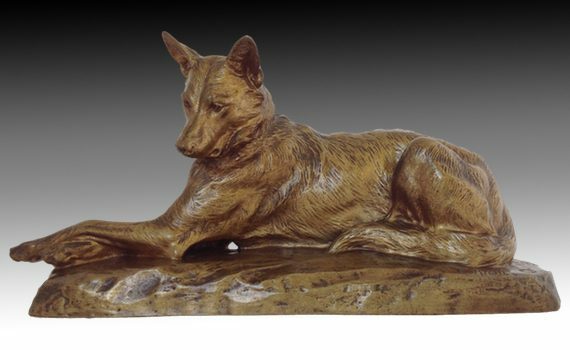 An early 20th century sand cast bronze animalier of a German Shepherd dog by Louis Riché, of large size. 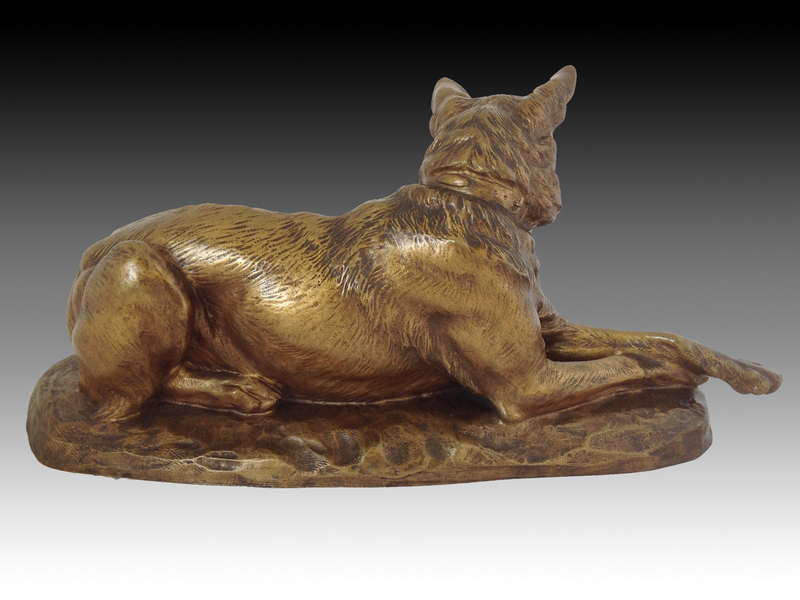 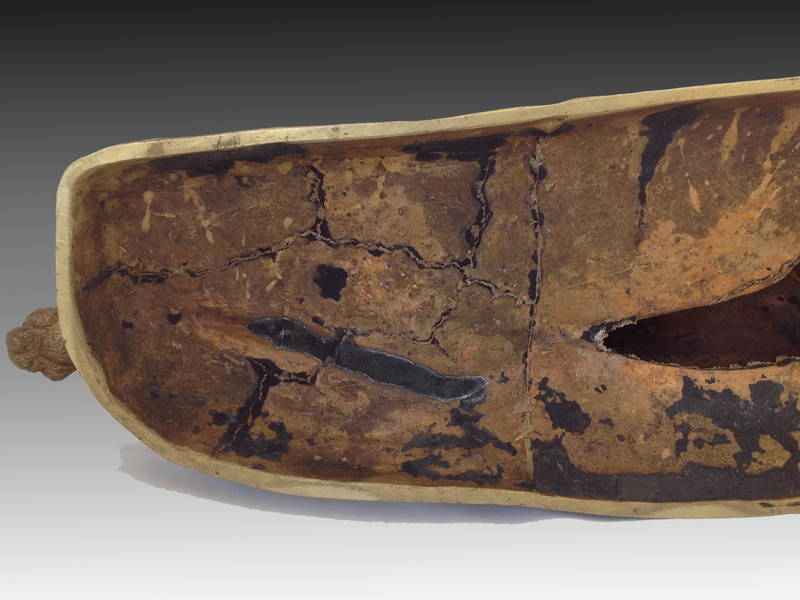 The finely detailed figure lying down on a naturalistic base with rich golden patina. 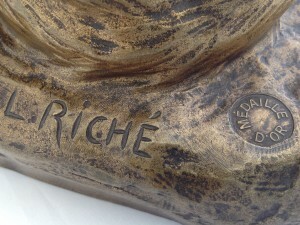 Cast by the F Claessens foundry with the ‘Medaille D’or’ seal to the base showing it was cast after Riche won the Gold Medal at the salon for this model. This model was also cast as a pair of Dogs ‘Chien Policiers’, the second dog sitting in front of this prone dog. Louis Riche was born in Paris France on May 29th 1877. 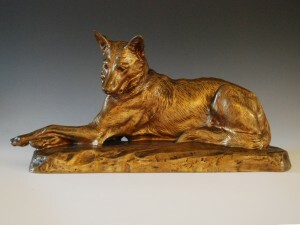 He exhibited at the Salon in Paris first in 1896 when he was just nineteen. 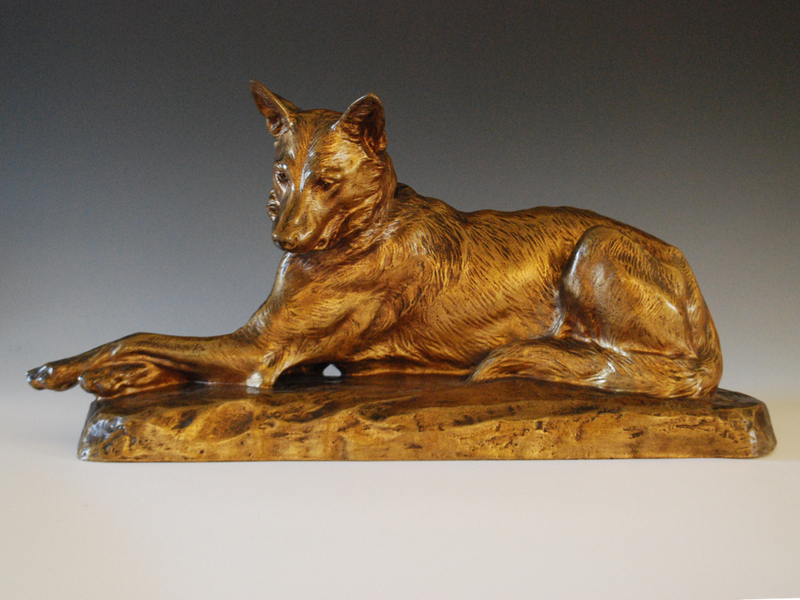 His favourite subject to sculpt was the German Shepherd Dog, and was considered the Master at this, but also sculpted many other animals. 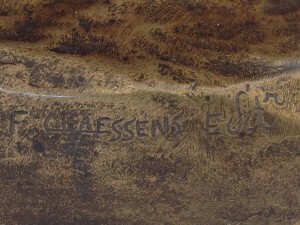 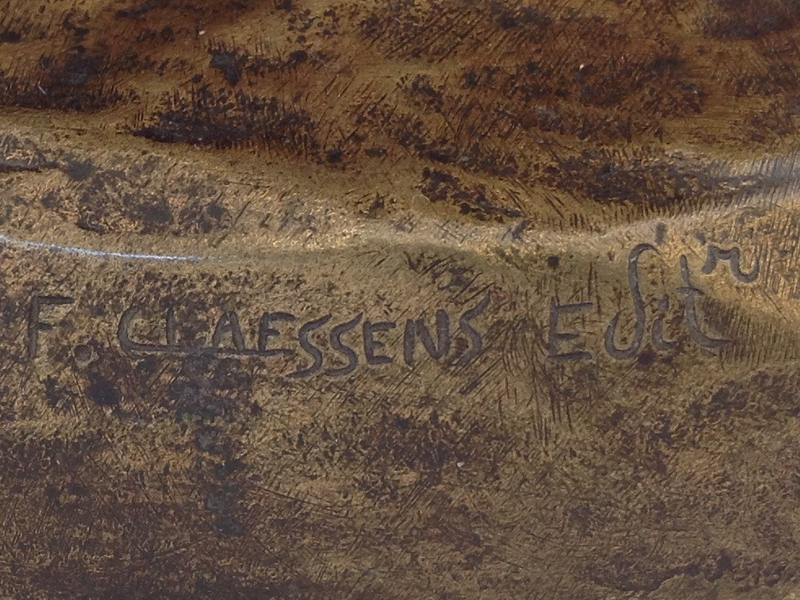 He worked mostly with the Thiebault Freres foundry for casting, but is also known to have used the F. Claessens foundry. 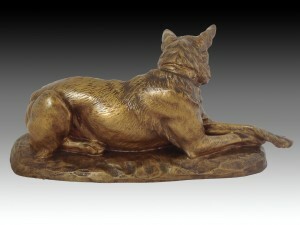 Riche exhibited at the Salon throughout his lifetime with interruptions for both World Wars, and carried on creating many splendid subjects.